Everyone loves a bracelet. For me, they are finicky creatures. I like them to hang “just so”, which makes fitting them for others a challenge (especially when you have never met the wrist). A lot of the time, I’m just not that thrilled with how they come out. 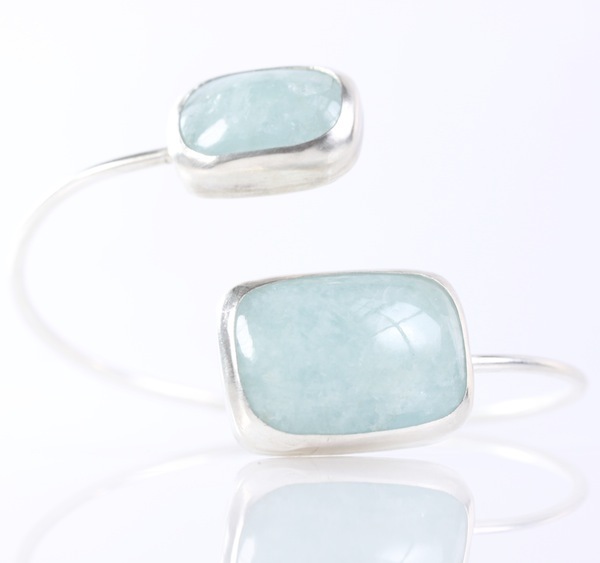 Sometimes, someone will see me “road testing” a piece that I’m not ready to sell because of something about it that’s not “right” (and they get annoyed); and I really don’t like the “expandable bangle” look. To me, it’s kinda tween or teenage looking (not that there’s anything wrong with that – if you’re a tween/teenager!). Since I shy away from commercial clasps, it’s always a predicament. Finally, I made a few that I’m happy with, and they’re adjustable! Usually I save the best for last. Not this time. 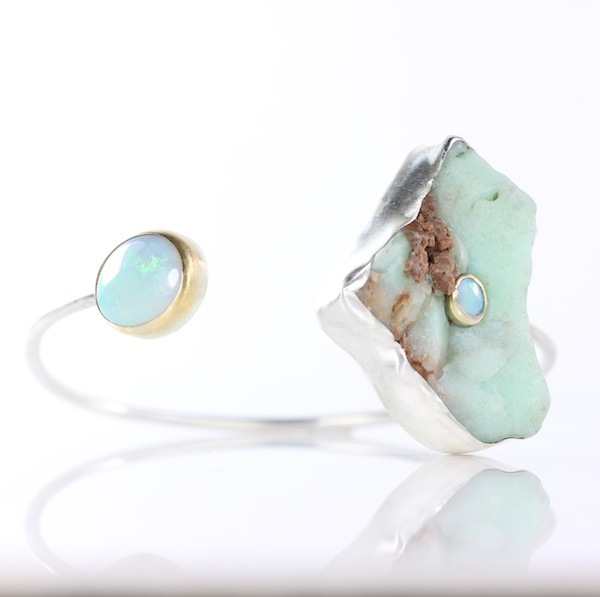 Above, is my new all time favorite piece: Raw chrysoprase set with an Australian opal & balanced (sort of) with another larger Australian opal. For the purple lovers (like me! ): Australian opal with shades of purple & lavender chalcedony bangle. Sometimes people have asked me to post the “making of” stuff. It’s really not very glamorous! 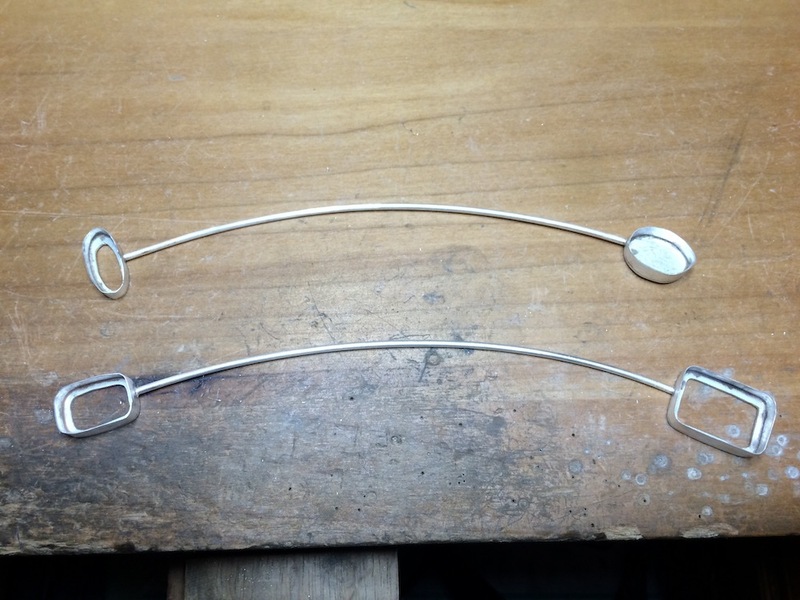 Here’s a shot of a couple of bangles being made. Enjoy! You are currently viewing the archives for December, 2015 at ledajewelco.